Could Parliament End Up Floating On Old Woolwich Ferries? Harry Rosehill Could Parliament End Up Floating On Old Woolwich Ferries? 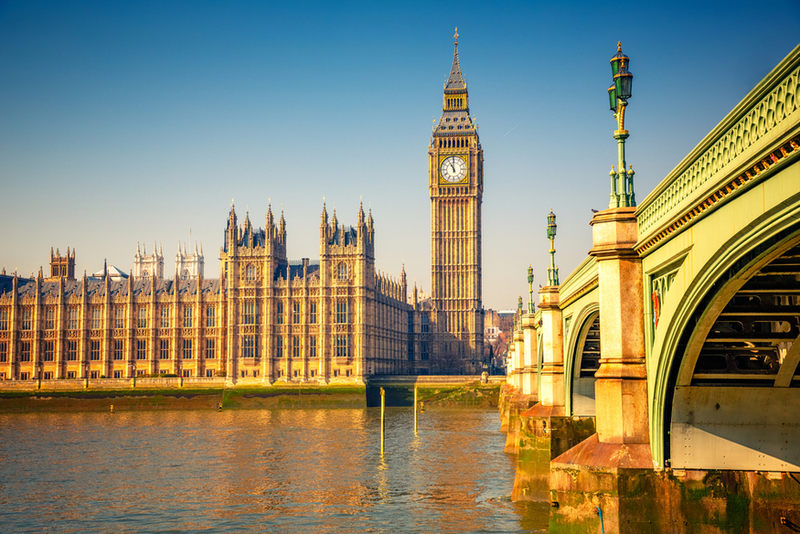 Parliament's in a pretty rough state — not in a political sense, though no doubt many people are displeased at the way things are going — but the Houses of Parliament themselves. The buildings are in dire need of renovation. How dire? At all times, there are six people patrolling the Palace of Westminster, in case any random fires break out — which they often do. The basement often floods. The building is covered in asbestos. Something clearly needs to be done. There is talk of a massive renovation, which would cost billions of pounds. There's been reluctance to initiate this, partly because of the cost, but there's another more pragmatic issue at hand. Where would Parliament go in the meantime? 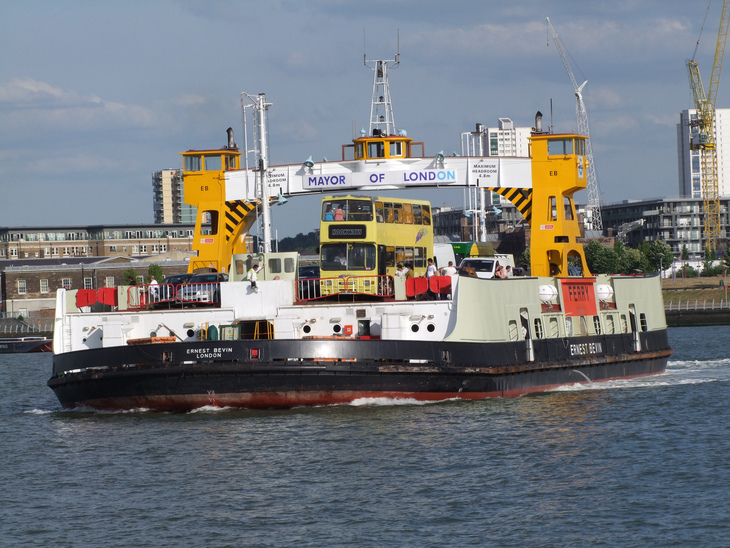 In 2018, TfL is set to decommission three Woolwich ferries, which first entered service in 1968. After 50 years of service, old Father Time has caught up with the ships, or at least their engines. A survey shows that their hulls are in tip top condition. 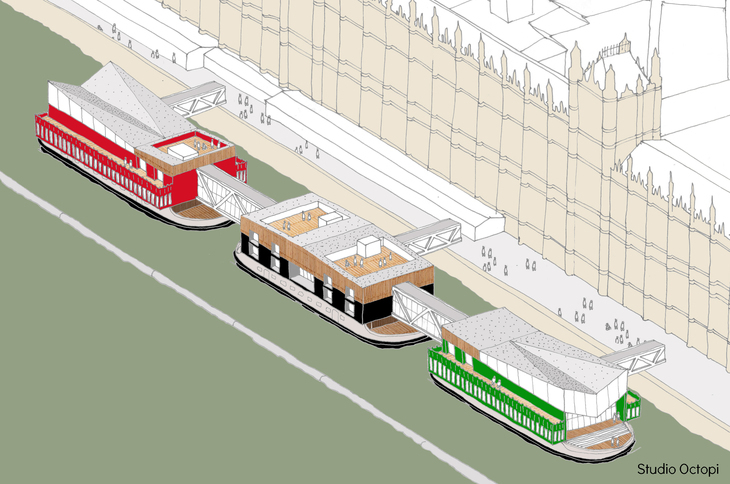 So architects at Studio Octopi, came up with a nifty idea: Pitch these ferries outside the Palace of Westminster and hold Parliament on them. Except it's a little complex than that. MPs wouldn't be content with standing out on deck where cars used to park, being battered by the elements. The ships need renovation themselves — hybrid steel and timber structures would be built atop them. That's where the Houses of Commons and Lords would sit, along with all the requisite offices needed for government to function. The proposal — which was drawn up jointly with marine civil engineering firm Beckett Rankine — intends to add extra buoyancy to the hulls, so they can withstand the whopping 1100 tonnes necessary. The ships would then be surrounded by an exclusive boom for security purposes. The entire project is costed at £55 million, which comes in at roughly half the other proposals raised thus far. Plus, it's way more awesome than any other ideas because it's reusing a classic London icon — well, Londonist's idea of an icon. There is support in principle for the idea — the team met with MPs, who were supportive. Another proponent is TfL which want the ships to have a second life. Even the leader of the opposition, Jeremy Corbyn, is positive on the idea of a floating Parliament, praising a similar plan in 2016. Our work on exploring the reuse of the ferry hulls has created an appreciation for their potential and we are now on the lookout for an alternative reuse opportunity. They then ask, that if anyone has any bright ideas for other uses for the old ships, to get in touch with them. So if you can think of how these ships could best be used, comment beneath. We feel that they'd make a perfect base for Londonist HQ.